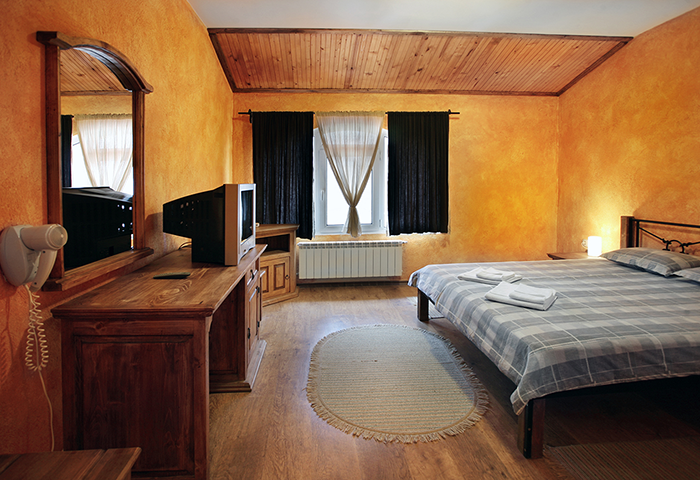 The enchanting and cozy architecture of the hotel, lying in the bed of the Chavcha river in the Rila mountain – only 5 minutes afoot from the Kosten Waterfalls, is a successor of the famous Bulgarian hotel-keeping 2 centuries tradition. 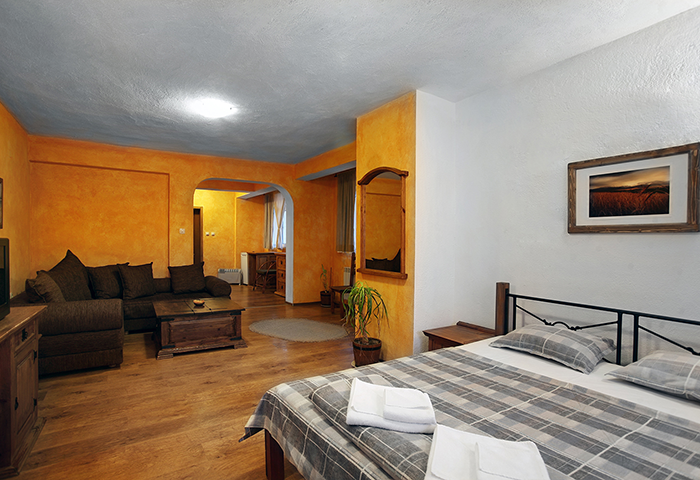 The Hotel “Ezeroto” disposes of 23 rooms , a SPA center with mineral water, fitness, solarium and hydro-massage tubs. 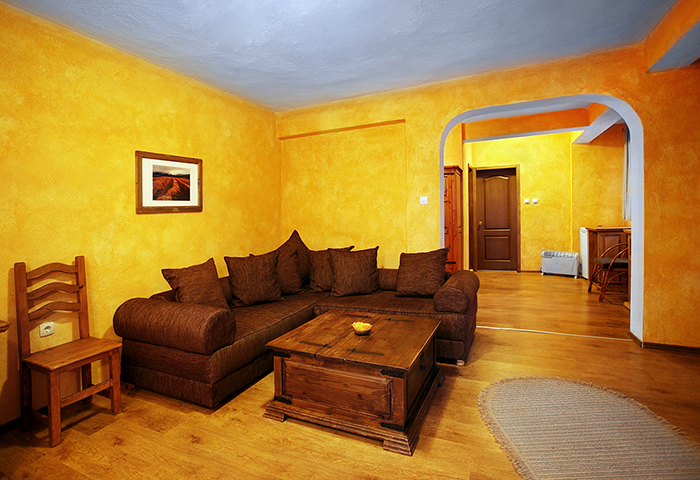 Each room has a TV, internet and an independent bathroom. There is a parking for 50 cars at your disposal. 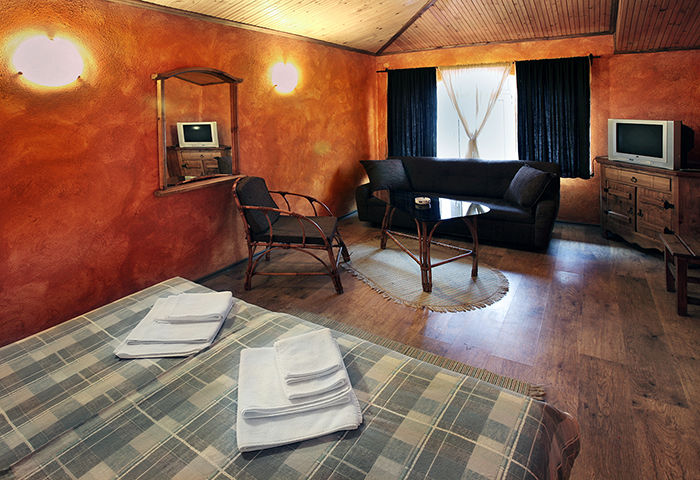 You may book your room clicking on the “Contacts” button or make a call, to order your holidays. You will be informed if your booking is accepted. 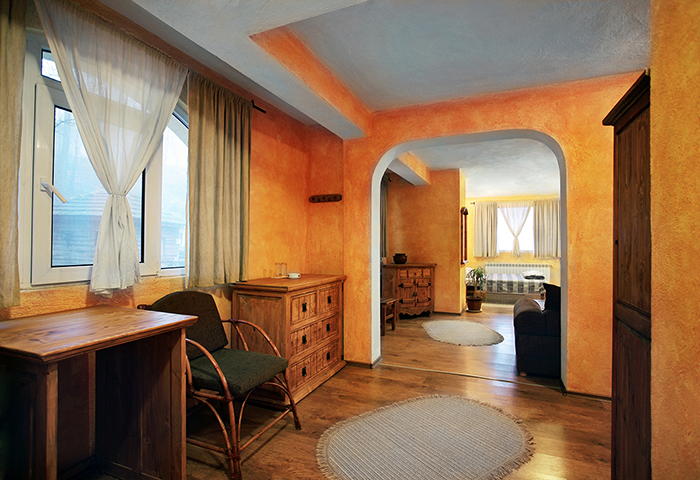 Apartment – 130 BGN per night. 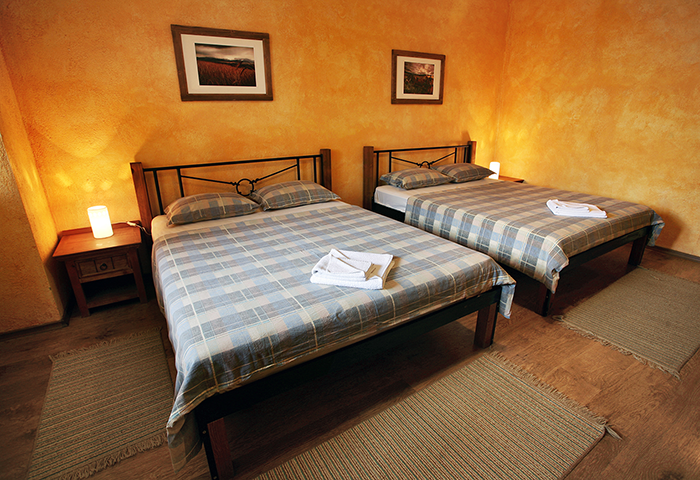 A room with three beds – 80 BGN per night. 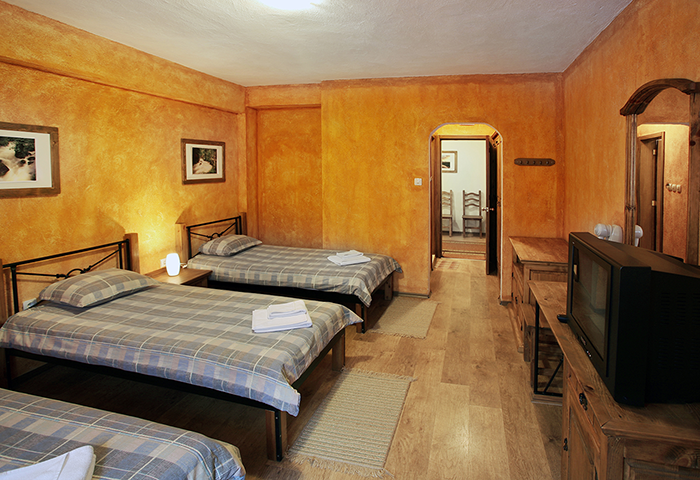 Double room – 60 BGN per night. 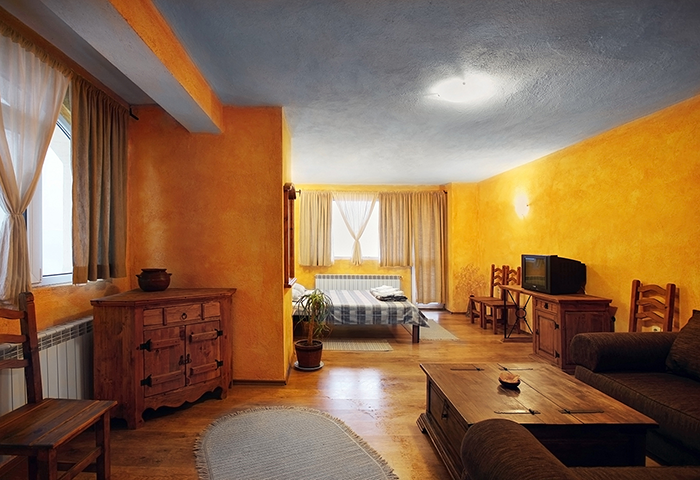 Single room – 60 BGN per night. The Hotel Complex offers to you its SPA center. Our curative programs are under the permanent and direct care of a competent physician. Take your pleasure in the atmosphere of the restaurant – indoor the hotel and outdoor – along the natural lake. Enjoy the home-like coziness, the savory selected cuisine and the perfect service. From the hotel start several tourist routes to the beautiful ridges of the Eastern Rila Mountain and Belmeken. “Milikini Polyani” (Milika glades) is a wonderful place for picnic, horse-riding, hunting and trout fishing organized upon request.